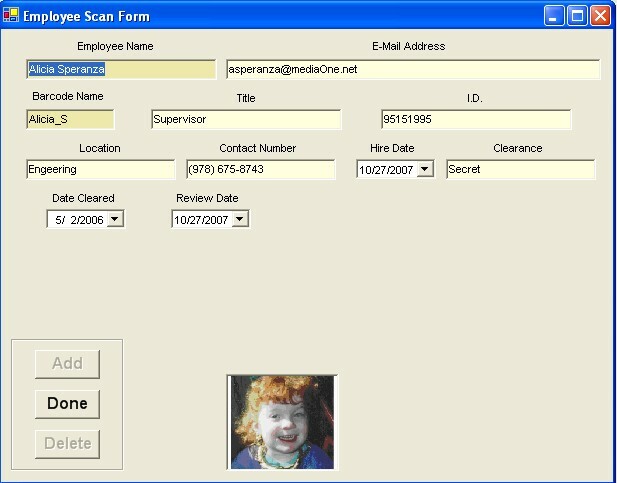 All software users are entered in the 'Employee' screen. This includes the buyers , sales persons and all other software users. Each employee has rights that are set up in the password screen to restrict editing capabilities and only allow viewing of data. These rights can only be changed by the systems administrator. 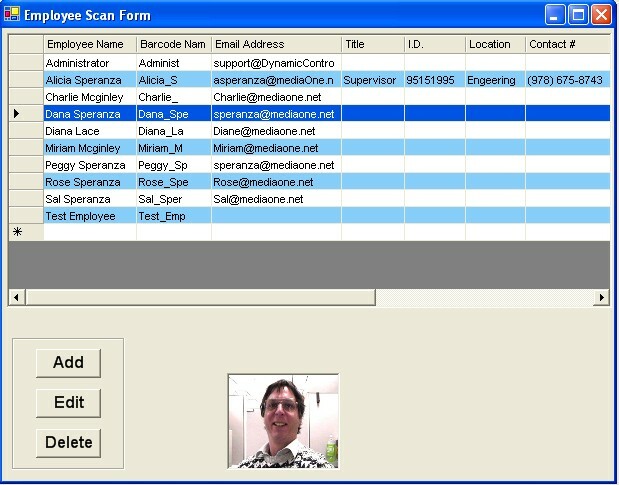 The barcode name is generated by the software and is printed on the employee barcode name badge. The e-mail address is printed on the purchase and sales order hard copies. An option in the software configuration can be turned on to include more detailed employee information.